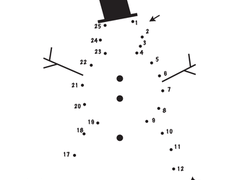 This snowman connect the dots worksheet is a fun way to practise counting. Try our snowman connect the dots worksheet with your child. This tangram tree is a festive way to put your child's maths and reasoning skills to the test. Make a tangram tree with your child this Christmas season. 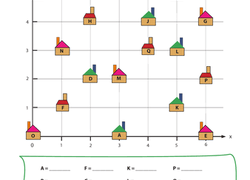 Count, trace, and colour two Christmas trees in this reception worksheet. 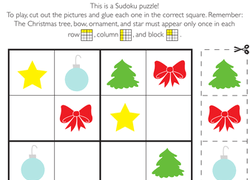 Kids will exercise academic and motor skills in this Christmas-themed worksheet. Kids will practise counting from one to 34 in this Christmas dot-to-dot. 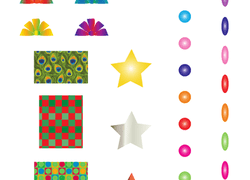 Once your child connects the dots, he'll have a ringing Christmas bell to colour! This Christmas counting worksheet, disguised as a fun cut and paste activity, will keep counting skills sharp in a seasonal way. 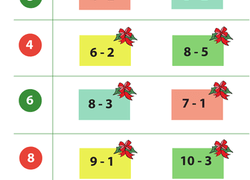 Build pre-maths skills with a festive Christmas subtraction worksheet. This is a great way to get your visual learner to grasp the concept of subtraction. 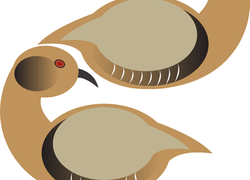 Your fourth grader can save Christmas by helping Santa decipher an important code. As he helps Santa, will be getting some important practise with coordinates.